Gavin Attwood has been an avid mountaineer all of his life. Born in the UK, he was a frequent visitor and climber in the English Lake District, Welsh mountains and rugged Scottish Highlands. He also made ascents of many peaks in the Austrian and French Alps. 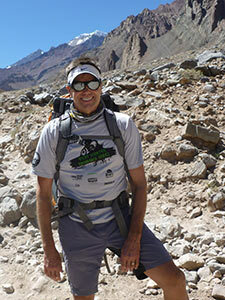 Gavin immigrated to New Zealand in the early 1990's and taught Outdoor Pursuits to high school students. In 2000, he moved to Colorado and has climbed, skied and run the trails of the beautiful Rocky Mountains. He has twice run the Pikes Peak marathon, competed in three 'Ironman' distance triathlons and two triathlon World Championships. He has done the Leadville 100 mountain bike race as well as the Double-Triple-Bypass ride. Gavin was a member of the team that guided six blind Tibetan teenagers to 22,000ft on the north side of Mt Everest in 2004. The documentary of that expedition 'Blindsight' has won awards at several film festivals. 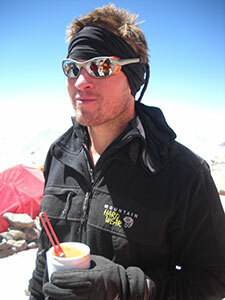 In 2007, Gavin joined the Project Himalaya team to make an attempt on Mt Everest from the north (Tibetan) side. He was turned around due to problems with his oxygen system at about 28,500ft on his summit push and subsequently endured a grueling and dangerous decent to safety out of the 'Death Zone'. Nick Lauters is building an impressive resume of achievements. 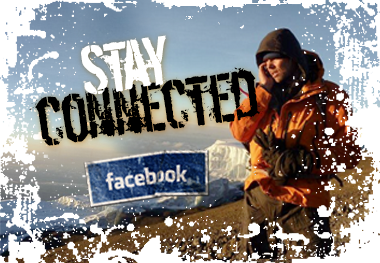 He has summits of Denali, Aconcagua and Kilimanjaro as well as numerous Colorado 14ers. Nick is also a top mountain and road biker having completed the Leadville 100 mile mountain bike race, the Double-Triple Bypass ride and a 200 mile ride through Death Valley in California.